Raising four kids ages 5,7, 12 and 10. I have a meeting at nine and they are going to miss their bus! MOM! I can’t find my shoes! MOM! My uniform? 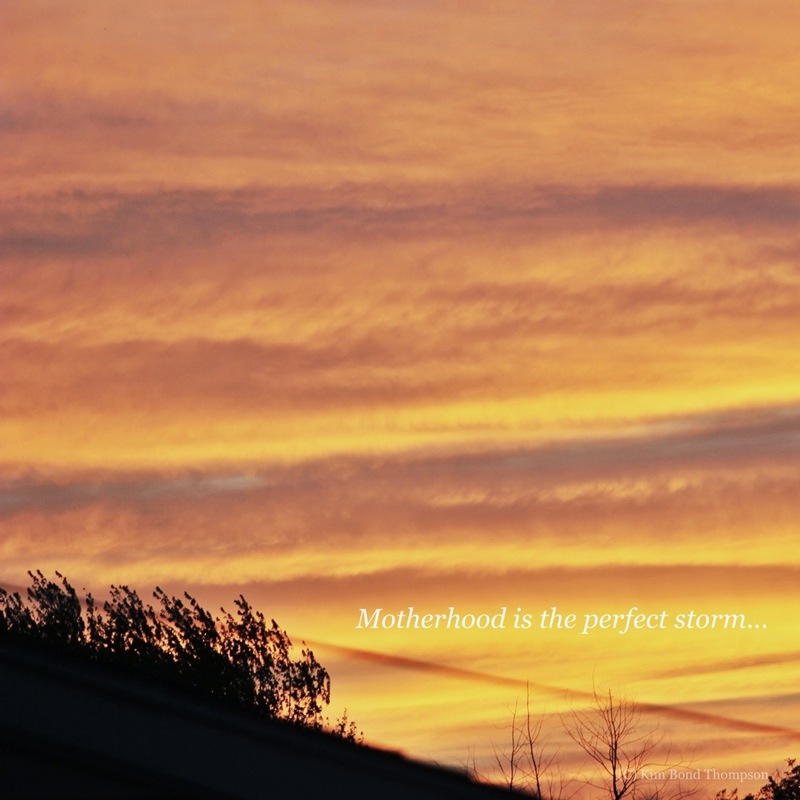 The land of motherhood now enduring the perfect storm. Mom, I am staying after school. Mom, I have practice tonight. Please stop you two! There is no need to fight. Mom, I’ll buy lunch today, no need to make one. Yes, little man, that is the rising sun. No, it’s the other one. That’s not what we bought. Mom, I’ll have an apple, but please a different drink? Please go make sure your brother spits in the sink. No, those socks don’t match but they will do. Is your homework packed, like I asked you last night? Nope, that jacket still fits, though it is a little tight. Quick! I hear the bus, coming round the bend! The perfect storm is now coming to an end. Each child leaves saying…Thanks Mom! I love you. A little artist liberty here perhaps… but i know you know what I mean. I can so relate. I couldn’t help but read this and smile. Enjoy – it is gone too soon!